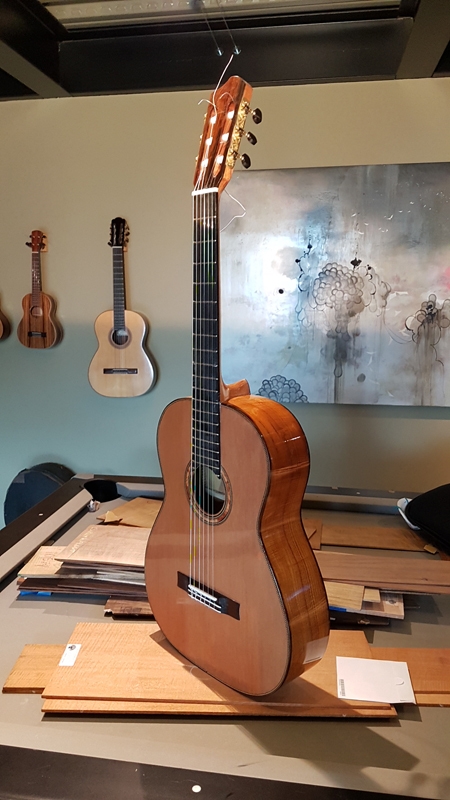 I just strung up this guitar today. 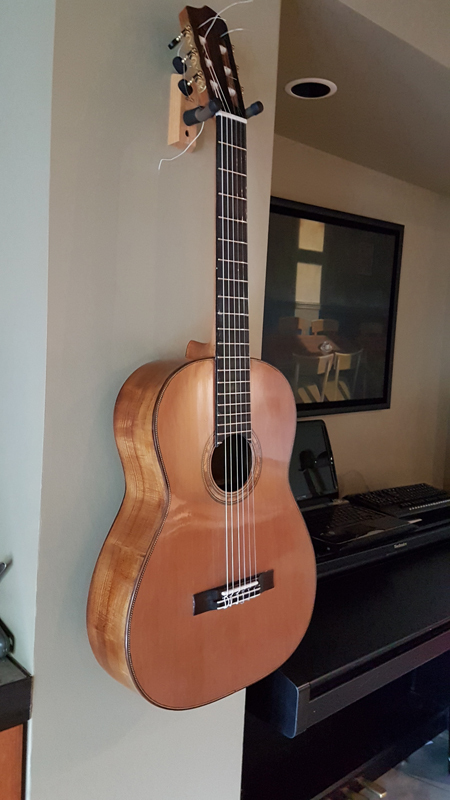 I am letting it settle in, but it sounds like it is going to be a good sounding guitar. 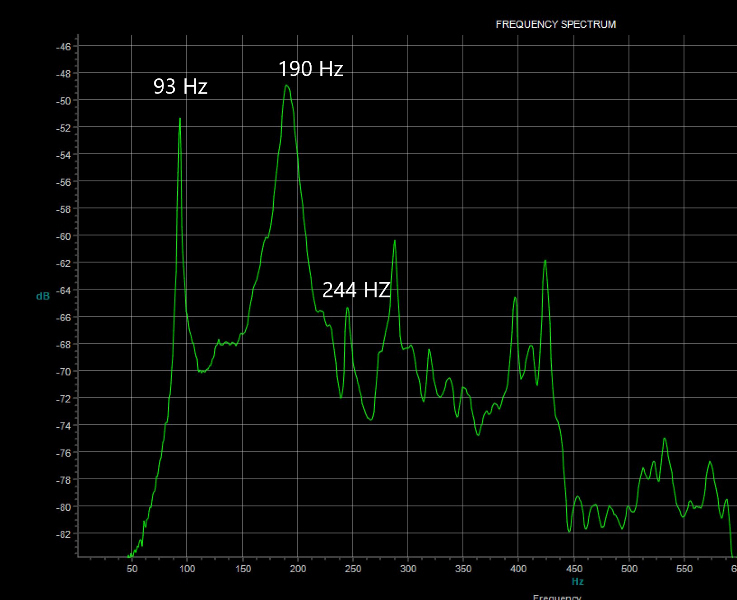 The top is pitched at 191 Hz right now. After the guitar settles in and I have it setup the way I want it I will see if I want to do any modal tuning. As this one's for me it kept be pushed to the back burner for other commissioned projects. Congrats! The last picture looks almost a little golden brown to me, the silking and grain pattern are really nice. Very nice. 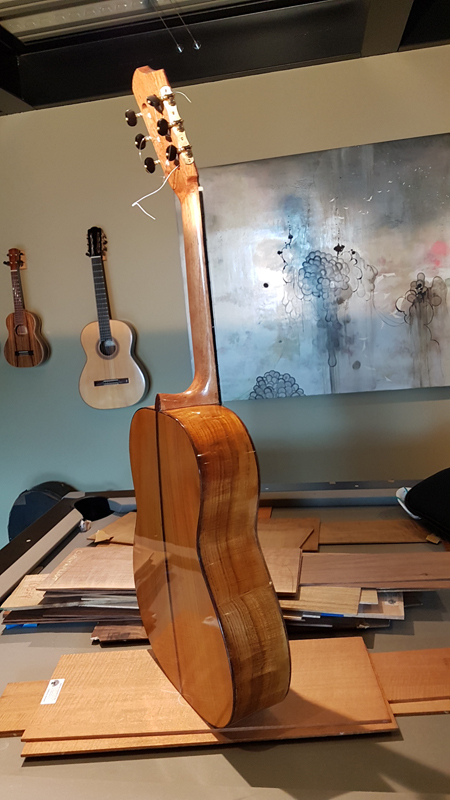 It is very difficult to find osage orange boards big enough to build a two-piece back. Congrats! 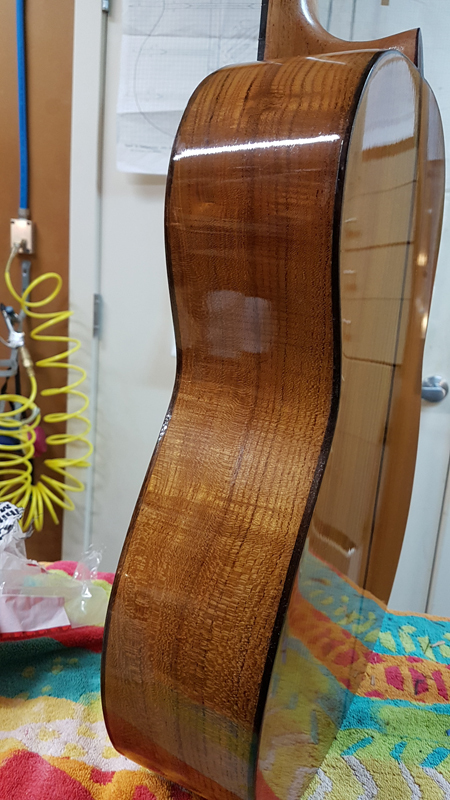 The back center strip gave me just enough wood to make the two piece back, Chris here is a picture of the rosette. It was book match amboyna burl and some Gerian robe binding and some black fiber\maple purflings. Personally I think the Osage Orange looks great. 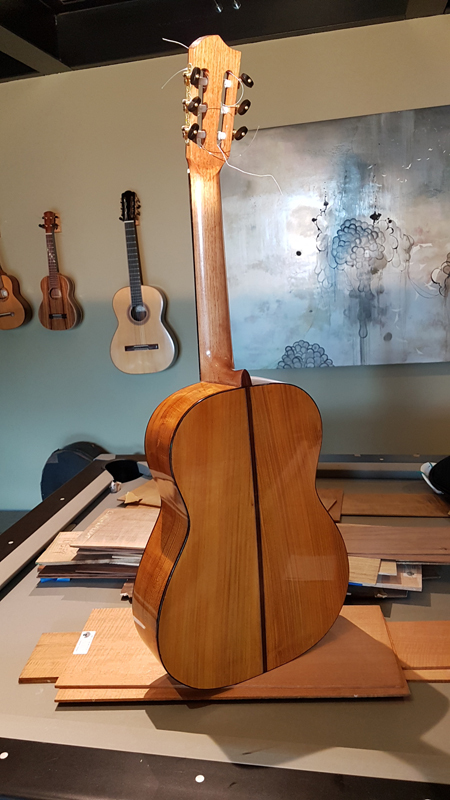 I might consider changing the neck to Mahagony on future models, the light color seems at odds with the back and sides, but just my opinion. Very beautiful, natural color is juicy. I’ve always wanted to build with Osage Orange but could get my hands on a set. I’ve never lived where it’s common. Visit Ohio. The tree is everywhere. Ohio, Ohio.....umm sounds vaugley like something I’ve flown over before, but can’t quite place it. 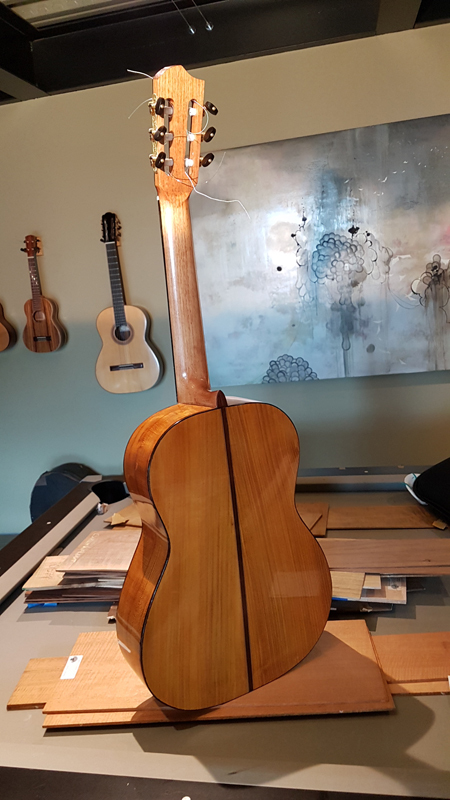 Thanks, No disagreement from me, I considered some mahogany stain for the neck, but stayed natural. I also think spruce would look better than the western red cedar in certain light the red really shows in the top and clashes with the burnt oranges in the sides. I am sort of getting used to it so my judgement is getting clouded. 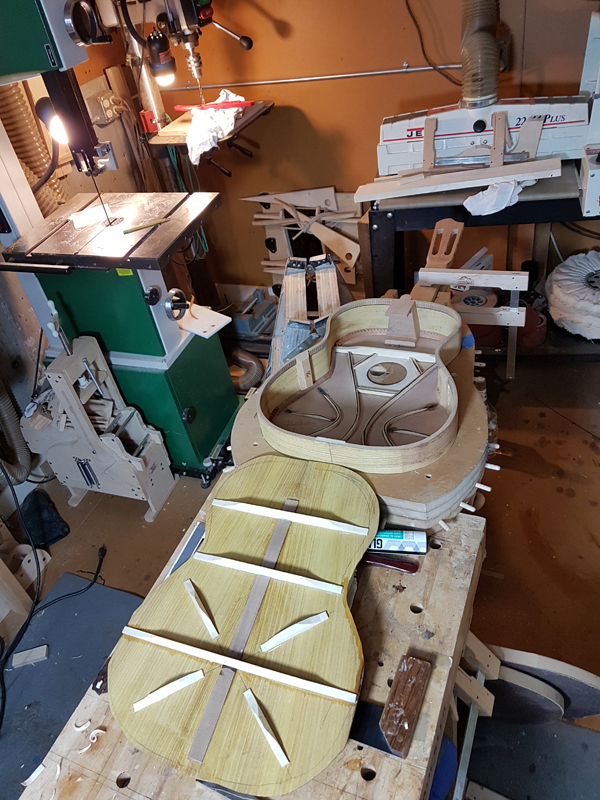 I got my sets from RC tonewood, but they do not currently have sets. I was interested in https://osageorangewood.com/guitar-sets. From his web site Zebulon Turrentine is a classical builder. I have not ordered from him but the sets looked nice. 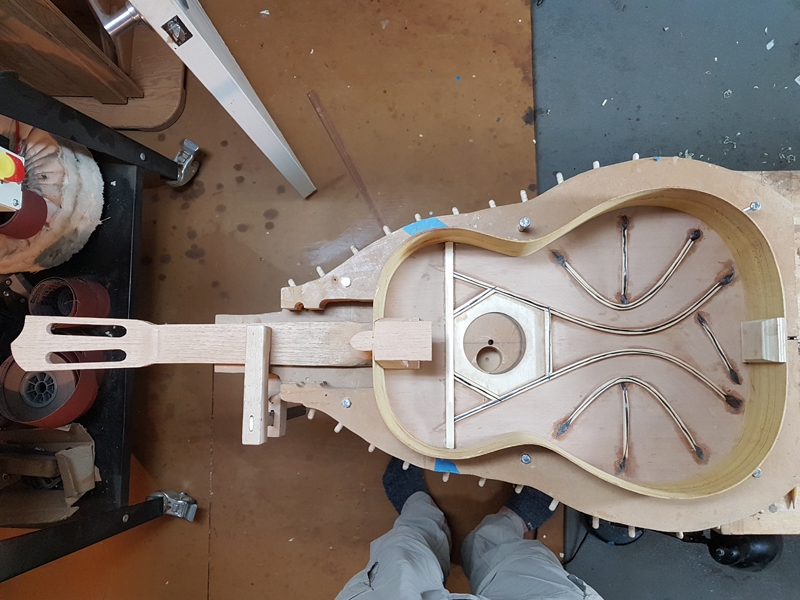 Ralph Dammann in Virginia sometimes uses osage orange wood in building guitars and mandocellos. His web page can be found by googling mandocello.org. His web site states that osage orange has tonal qualities similar to Brazilian rosewood. 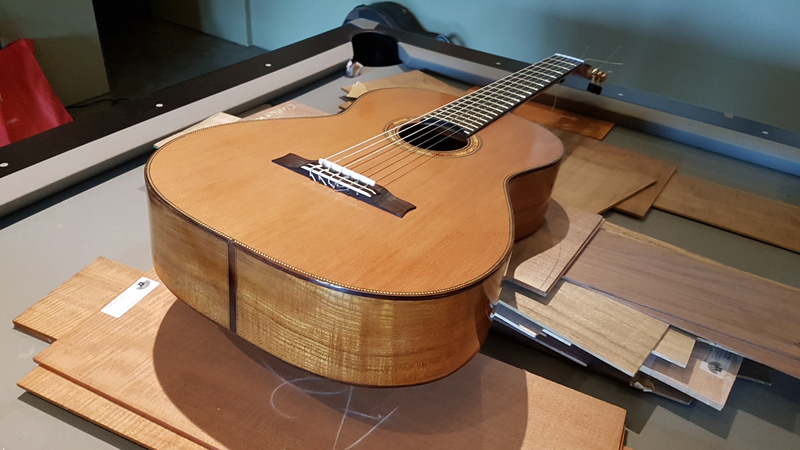 Your new osage orange guitar looks quite beautiful - congratulations!